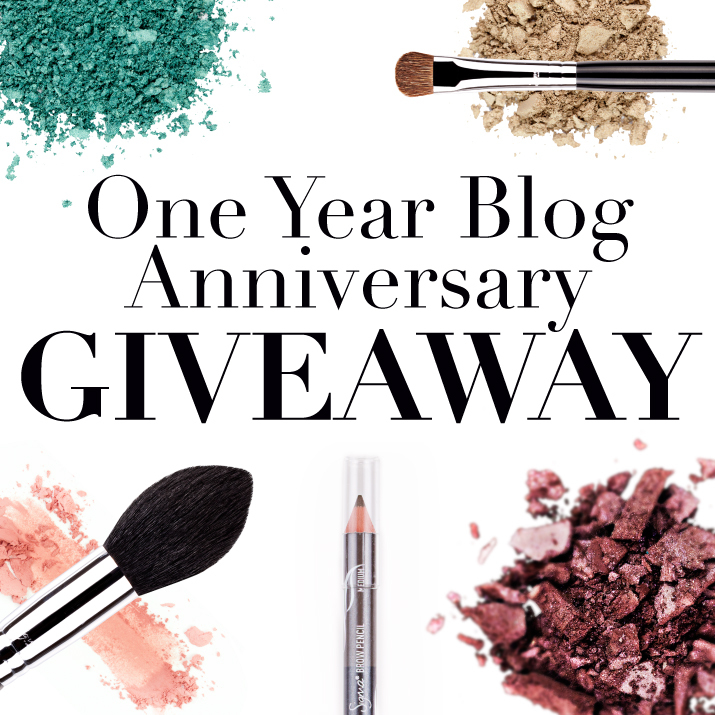 Today marks the one year anniversary of the Sigma Beauty Blog! To show our appreciation to all of our wonderful readers, we wanted to host a special giveaway! But first, we need a little bit of information from you! Keep reading to take our short poll and be entered for a chance to win the Sigma product you want most! In order to keep our readers satisfied, we need your feedback! Take the poll below to be entered in this exclusive giveaway. RULES: You must fill out each section or your form will not be successfully received. One entry per person. International entries welcome. Five winners will be selected at random and win the product they specified they would like most. The winners will be announced and contacted next week! Good luck, gorgeous! What a fabulous giveaway!!! Thanks for always giving your followers the opportunity to submit their suggestions! Congratulations and Good Luck to all!! fingers crossed !!!! i hope i 'll be the lucky one !!!! love from greece !!!! I think I filled out the form twice, could eliminate one please? hope to be the lucky one !!! My fingers and toes are crossed! Thanks Sigma! Great giveaway, would love to win :)!!!!! thanks Sigma Beauty!! good luck to all!!! Happy Birthday and I would love to win a brush kit. They're fabulous! Thank you! And Happy one year Blog! Thank you Sigma! My fingers are crossed! Happy Birthday Sigma Beauty Blog!!! Congrats on the 1YR and more to come! Fingers crossed! Omg this is wonderful, happy one year!! Omggg this would be an amaaaazing Prize to win!!!!! !♥♥♥♥♥ Sigma!!!!!!!! Parabéns Sigma continue com esse sucesso viu! I love Sigma!!! Can't wait for a new eyeshadow palette!!! Thank you sigma for your wonderful products! yay for the one year :) congrats! love sigma beauty! Congratulations! Keep doing what you guys are doing, there is no one out there like you Sigma! Congratulations Sigma! Keep doing the awesomeness that you do, there is no one out there like you guys. How fabulous giveaway... I am waiting to see my name here!!!! I'm OBSESSED with Sigma brushes! I hope I win. Thanks for the chance. Happy Anniversary! Thank you for the giveaway!! hop i win it!! This giveaway is great! Hope I win, and good luck to everyone else! Thanks Sigma this is an awesome giveaway. Sigma is Amazing...Congratulations, Thanks you for this giveaway and Good Luck to all!!! happy bday, Sigma :D Brazil loves you, haha! Hip hip hooray!! I hope I am one of the winners!!! Happy birthday and thank you for the opportunity! Happy Birthday Thanks for the chance!! Thanks for the chance HAPPY BIRTHDAY!!! Congratulations!!! Would love to win. Sigma sounds like a great brand and I would love to try it!!! Happy birthday Sigma!! Uau!! One year. Congratulations!! Thanks for everythinhg posted here. I love to read every post. Thanks for the amazing giveaway. Happy Birthday Sigma and thanks for the giveaway! Thanks Sigma! I hope I win! Happy Birthday to my favorite brush company!!!! Happy Birthday to my favorite cosmetic brush company!! I love your products. Thank you for the give away, I am keeping my fingers crossed. happy b day and yah!!! Happy Birthday Sigma and hope many more successful ones come your way ;) Thanks for listening to your Customers. Thank you for this giveaway and happy anniversary! Thanks Sigma! We loce Sigma! Parabéns pelo Blog, estou amando essa interação de vocês com seus leitores e afiliados Sigma. Obrigada! Sucesso! Thanks for the giveaway sigma! Thank you for the opportunity that you offer to your "SIGMA's Fanatics" like me!!! It would be a dream for me to win!!! Like to touch the sky and all the stars!! I'm a real fanatic. I look in the site all the days!! All is so beautiful and perfect!! thanks for being generous to your affiliates like always. Happy Anniversary and more power to Sigma. BTW, the Submit Button isn't showing. Sigma Beauty ...Happy Birthday ... Thank you for giveaway..
What does one product mean exactly? Like exactly one brush or can I say a brush kit? Congrats Sigma! Thanks for the opportunity to win a great prize!!! Thank you for all the wonderful products, Sigma! A very beauty birthday, Sigma! Congratulations on the year blogging! Happy birthday, thanks for this Giveaway! Congrats!! Thanks for the giveaway, I hope my answers can help. Yay!! Hope I get lucky to win, right before my birthday, too! I have been wanting the brow kit for so long! I love sigma! HBD Sigma! And thanks for the giveaway !!! My God ..... fingers crossed!! Thank you for the giveaway and the post of your blog, its easy to learn with you. Congrats for the year blogging!! Happy anniversary!! Thanks for this awsome giveaway! Happy One Year! Thank you for the giveaway!